Hi there! 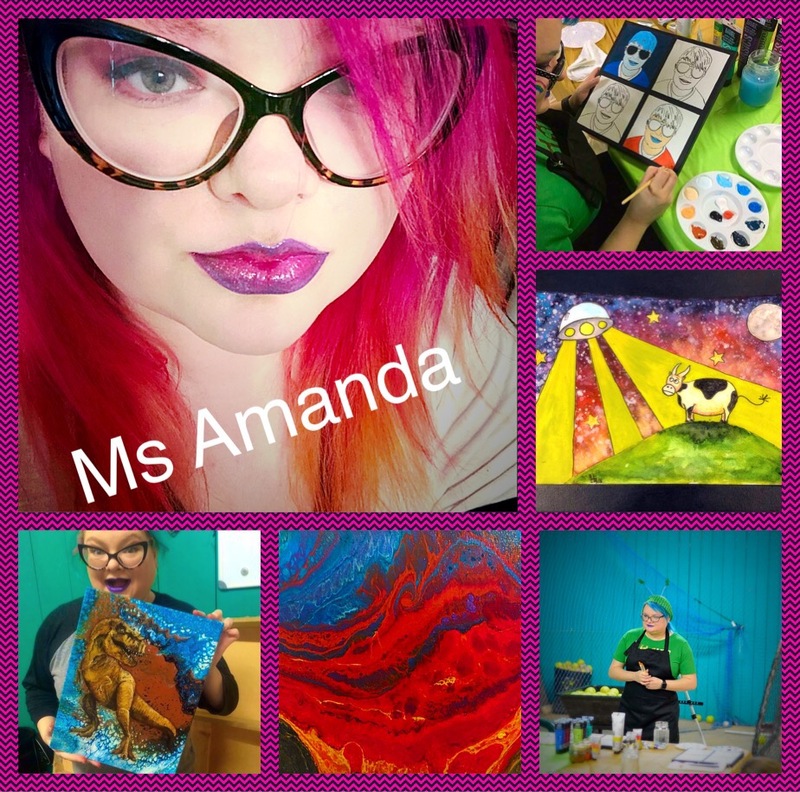 I’m Mrs. Amanda Crawford Brown, and I’ll be teaching your children art at Victory Home Education! I have been teaching at VHE since February of 2017, but Mrs. Mary Beth and I have known each other for a very long time. I have been an artist for as long as I can remember. I studied psychology and art education at MTSU. I am very active in my local art community in Murfreesboro, TN where I currently reside. I have been featured in art shows and have made commissioned art for many people. I continue to actively show and sell my own art. I am well-versed in many mediums of art and am confident enough to say that there is not much I will not try least once artistically. My favorite mediums are abstract acrylic painting, watercolor, and paper collage. I firmly believe everyone is an artist and that nothing in life is perfect. I take these philosophies into my classroom to give children the confidence to make art they are proud of. My class is not your typical drawing class! We use mediums while learning about artists and age-appropriate critique methods that your children would not be exposed to in public or private school until much later–possibly not until college! I can’t wait for the next school year to begin, and I look forward to seeing your children in art class!!! Check out the changes and goals of the 2018-2019 school year! Art is a big part of who we are at VHE! We will conclude the year a with our 2nd annual art show and reception in the spring! To check out my personal art, click here!